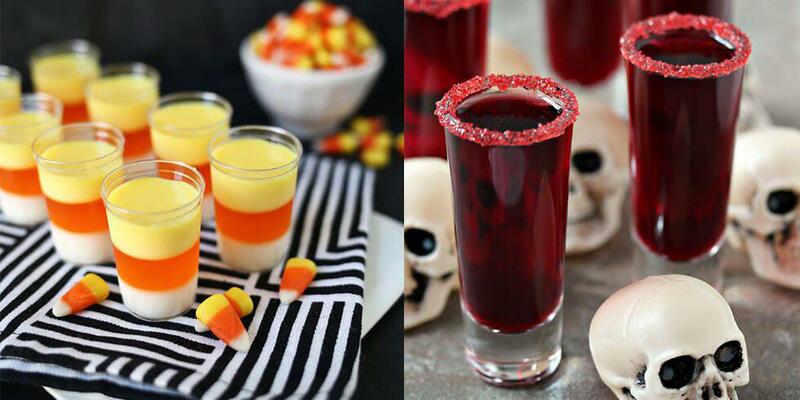 Hello Halloween parties! 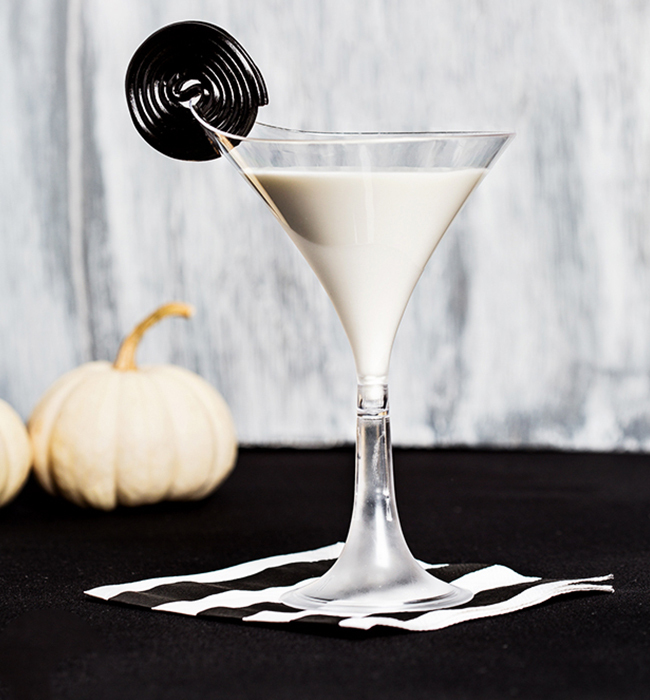 Whether you're all about the Mean Girls style bash or just a few drinks with friends it's time to indulge in a little Halloween themed cocktails to get the party started. 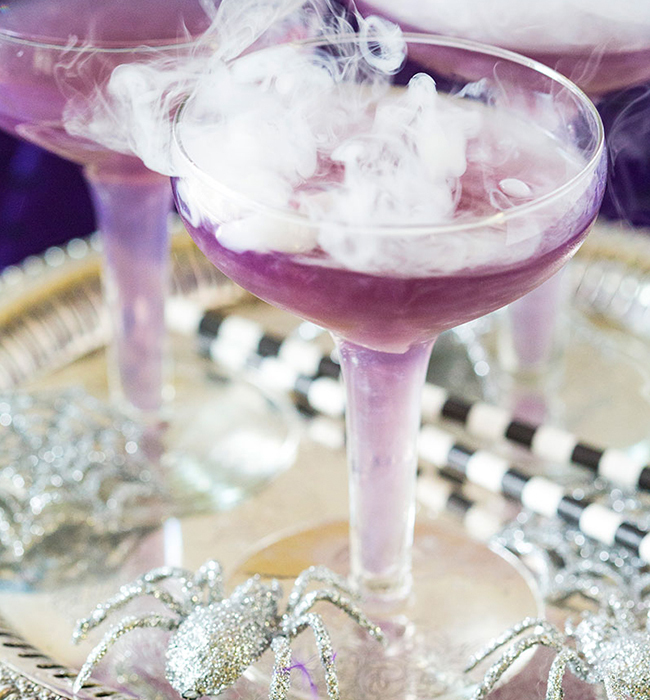 If Halloween Sangria doesn't sound like a good idea to you, who are you? Fruity, fresh and delicious! Plus, it looks kinda creepy because it's a deep red colour and you can squish blackberries up and make them look all gory and gross. 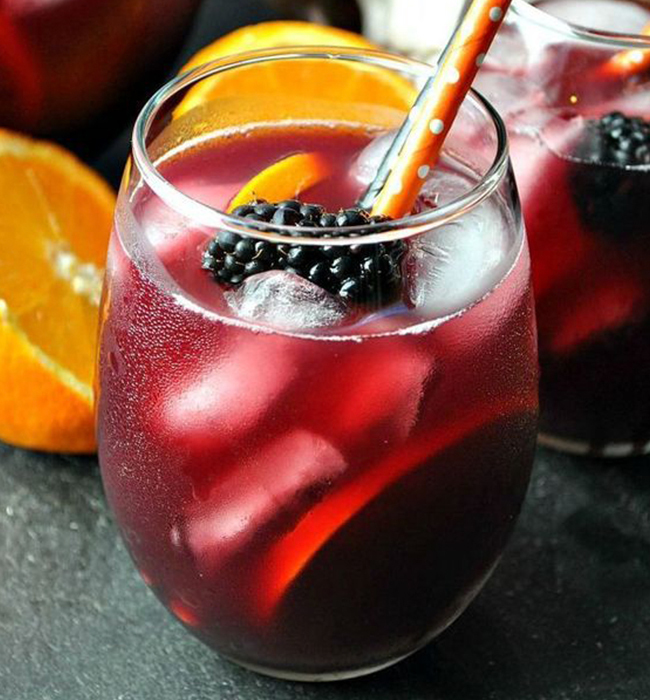 All you need is 1/4 cup of sugar, 2 bottles of red wine, 1 cup of orange juice, 1/4 cup of orange liqueur, 24 ounces club soda, 2 oranges and a cup of blackberries! This recipe is super simple to do. bring the sugar and 1 1/4 cups of water to boil in a saucepan and stir until the sugar is dissolved. Let it cool and then combine with the rest of the liquid ingredients (minus the club soda) in a large container and chill for 4 hours. Then add your soda, orange pieces and blackberries just before serving over ice. 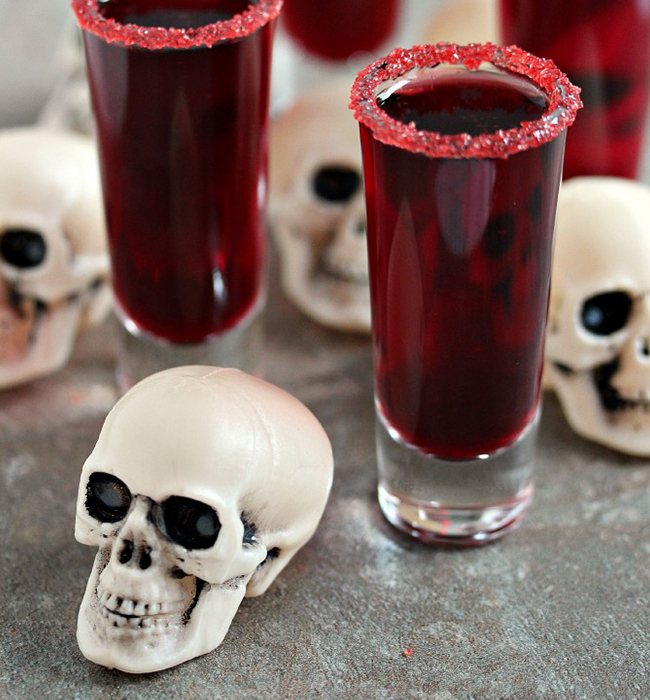 Another variation on the Sangria theme, this recipe has been inspired by The Walking Dead and involves pomegranate juice for a different flavor! This is basically the same recipe as above but add in the pomegranate juice and boom, a whole new sangria to try! The look of this punch really makes it for me, how pretty is this color? It really packs a punch, geddit? Ok, puns over, this recipe is awesome. 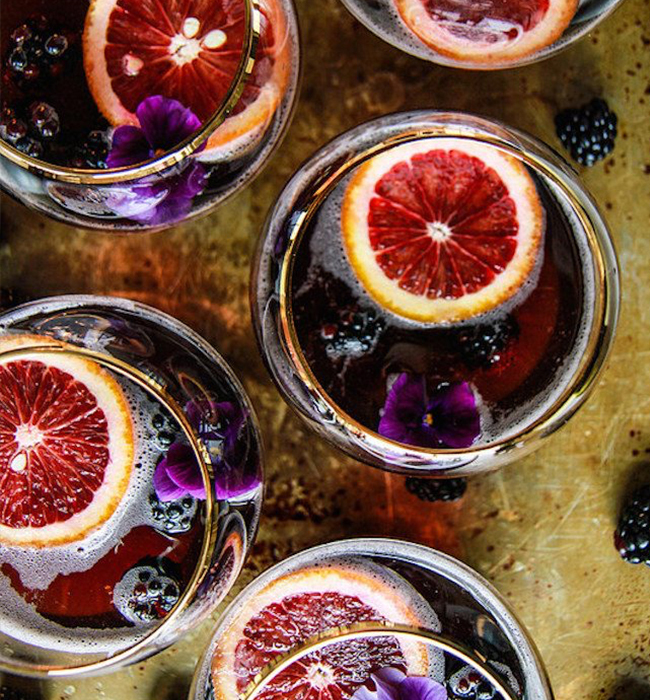 To serve 6 you will need 1 cup of chilled blood orange juice, 12 ounce of blackberry soda, 1 cup of rum of your choice, the juice of a fresh lime, 1 cup of fresh blackberries and a blood orange thinly sliced to float up in there! Obviously you can double or triple these measurements according to the number of guests that you are entertaining! If you have some guests that aren't keen on cocktails or even drinking alcohol you can prep some creepy ice cubes complete with jelly worms and a little food coloring. This way all guests can have a little something weird and wonderful in their drink even if they're only drinking soda! 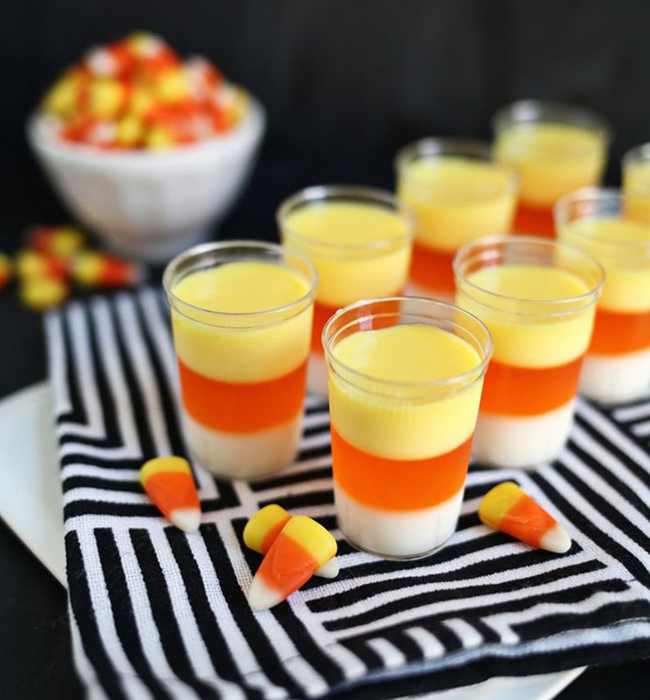 A Halloween party will never be complete without Candy Corn and these jello shots will really draw some attention! They take a little effort but the final result is totally worth it. What does Candy Corn actually taste like? Sugar, basically! This recipe has given them an orange tang because of the jello etc but we're totally down with that. The devil is in the detail with this baby. 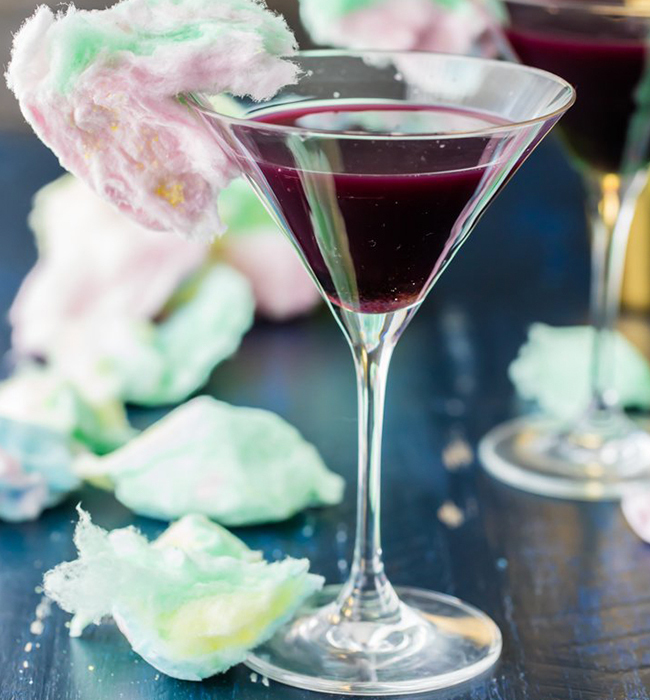 The cotton candy in the glasses actually dissolves like magic when you pour in the martini so this is the ultimate show stopping party cocktail! The martini itself is just vanilla (or any other flavor) vodka and grape juice for the awesome purple color. Leave out the vodka for a non-alcoholic version if you're serving kids or any guests that don't want to get too crazy! This recipe is super easy but is really effective! I mean, who doesn't love a pure white drink? So effective! You will need, for each drink, 1 part vodka, 1 part vanilla syrup, 1 part cream, 1 part lemon lime soda. Done!